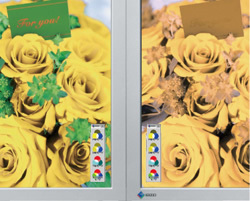 UniColor Pro and specific EIZO monitors present a hardware-based solution so they change how content is displayed on screen in real time without affecting the data itself. They simulate two types of red-green color vision deficiency (protanopia and deuteranopia) and one type of blue-yellow color deficiency (tritanopia). An EIZO-developed ASIC (application specific integrated circuit) inside the monitors does all the color conversion processing in real time - even moving and blinking images. With UniColor Pro software you can instantly switch among four modes - Original, Protanopia, Deuteranopia, and Tritanopia. 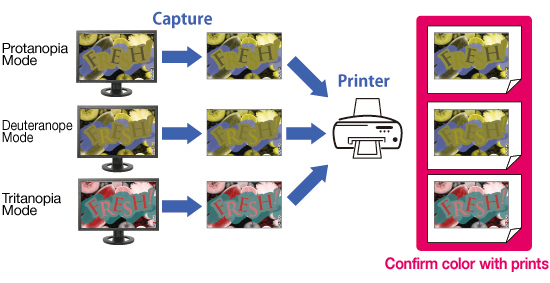 In addition, you can capture images and print them out for comparison. 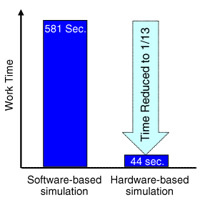 The main difference between these two methods is the amount of time required. In one experiment, the time needed to check the content of a web page about 11,000 pixels in length using software was 581 seconds. Using select EIZO ColorEdge monitors, a hardware solution, the same check took only 44 seconds or 1/13 the amount of time*.